Before my home hits the market in a few short weeks, I have a long list of improvements to complete. I’ve carefully chosen the improvements in areas I know will deliver a great ROI. Kitchens and bathrooms, for example, are always a solid place to invest a little money. It’s one of the first spaces potential buyers focus on. 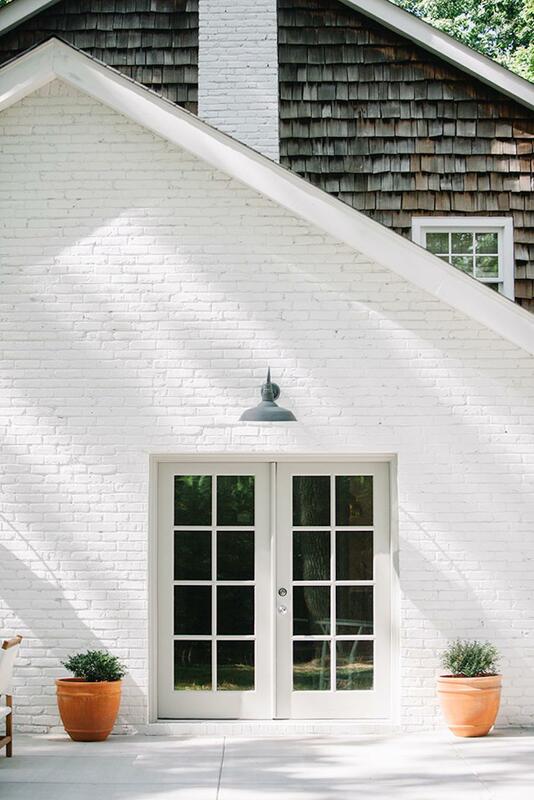 I’ll share a bigger post in the coming days that includes images and commentary about the spaces I’ve chosen to zero in on, but the one project that is going to make the biggest impact around here is exterior paint. My list includes tasks I’ll handle myself and others I’ll need a little help with – for example, putting in new kitchen counters and updating my son’s shower in his bathroom (which is the old master bath). While I would LOVE to do those on my own – time, baby….time. It’s not really on my side at the moment. I’m busy getting quotes from contractors, painters and flooring experts. Of course they all have to deal with me and my “it has to be this way, though” issues. God bless them, I tell you. Managing everything on top of a busy client schedule has been stressful and tiring, I can’t deny it. As much as my heart is hurting deeply and will continue to hurt, my heart is 100% into seeing this through. And I’d stay up 24 hours a day if I could to make that happen. I’m all the way in on getting this house to the next chapter. I may not be the person nailing that final dream…but I’ll leave knowing I filled this home with a tremendous amount of love and memories, poured myself into the details…and that I left it more beautiful than when I first stepped inside back in June 2013. I am definitely feeling a lot of emotions and will continue sharing, as tough as it will be to do. I really want to chronicle this journey and look back on the process. 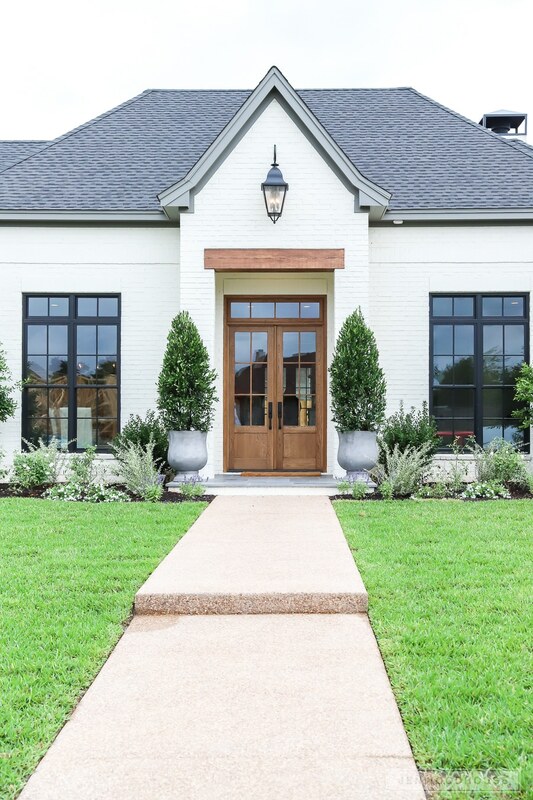 Hello… You had me at natural wood front door. Do you see what I mean? Love, I tell you. Love. 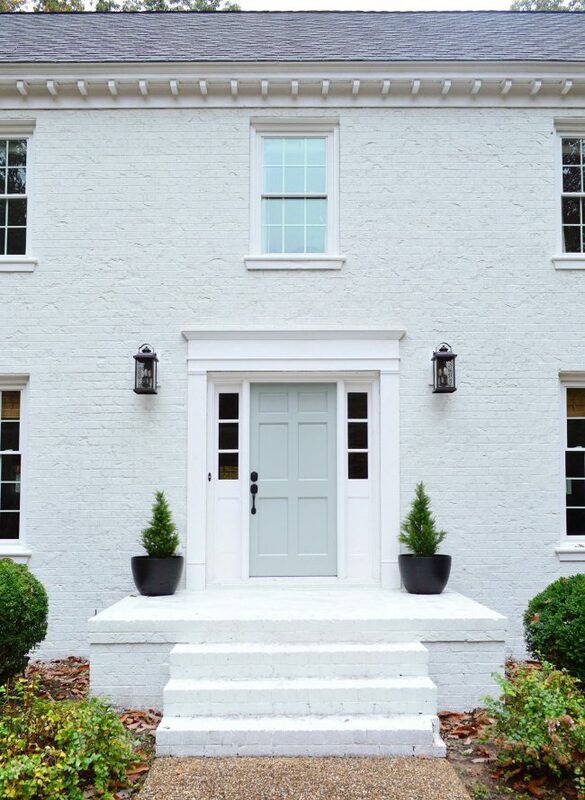 Since I have brick on the front of the house, I was beginning to wonder if I should keep it the natural red color / paint around it….or go ahead and paint over it. The only way to truly know how that would look was by searching online / Pinterest for inspiration. And I found a lot more inspo than anticipated. 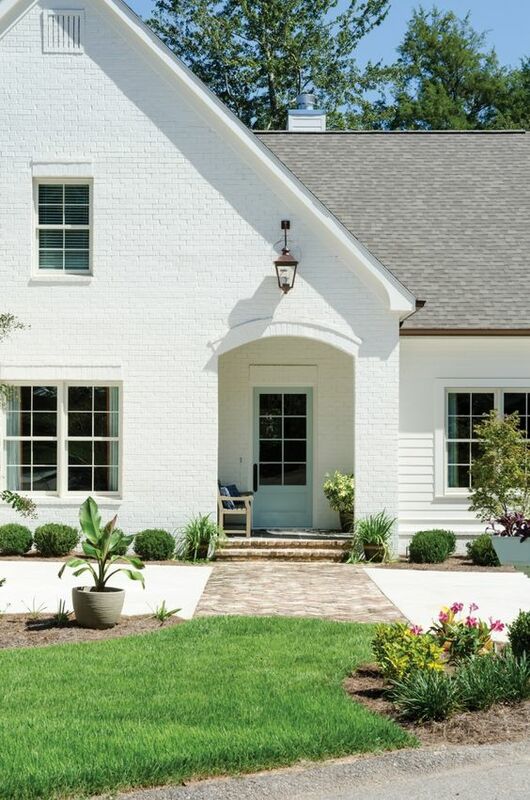 Searching for “white painted brick” unveiled a bunch more exciting options / updates. 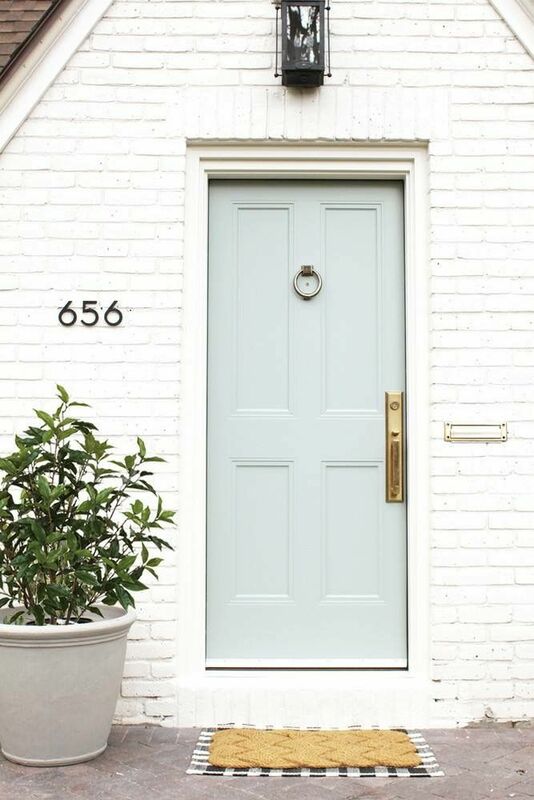 Suddenly, I found myself searching dutch doors as a front door, brightly painted front doors and natural wood pillars. Can you imagine how awesome that would look? So cute! Here are some of my absolute favorites I have hunted down (so far) and the sources are linked below each image. And I love everything about that mat situation in the above photo too! Although I recently grabbed a bold striped rug for my front porch, I have a hunch it’s going to be returned in exchange for that layered rug set up! So beautiful! 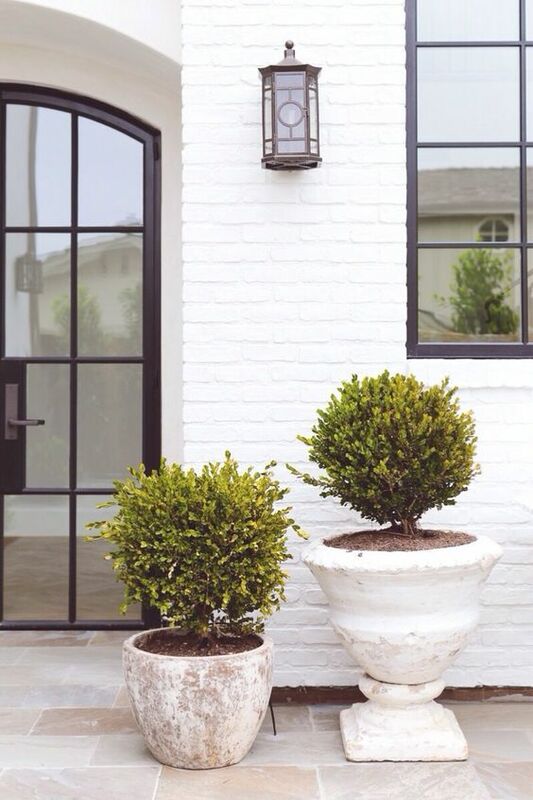 I’d love to hear your thoughts on exterior paint so shoot me your comments! Back soon with another home update you guys! Hi Sam: I love your last few posts! 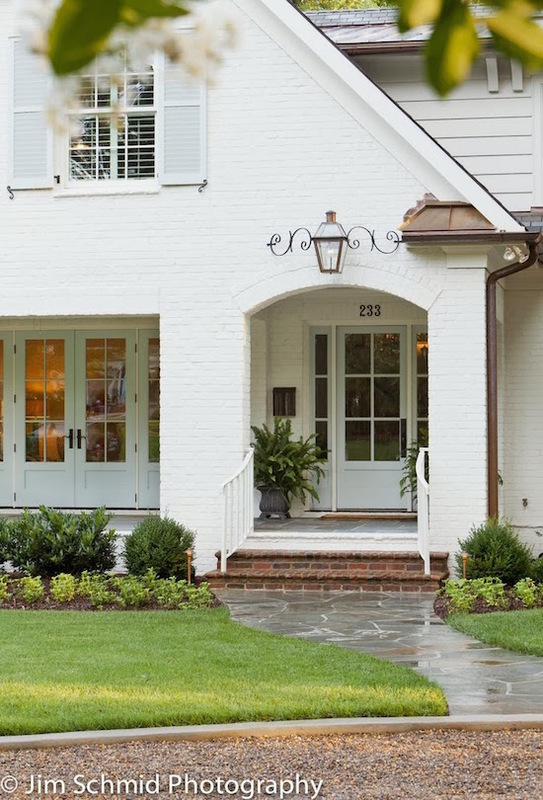 Your yard remodel looks great, and I’m feeling the white house and white brick idea. I think you should add a blue door! Awe, hi sweet friend!! Thank you so much! 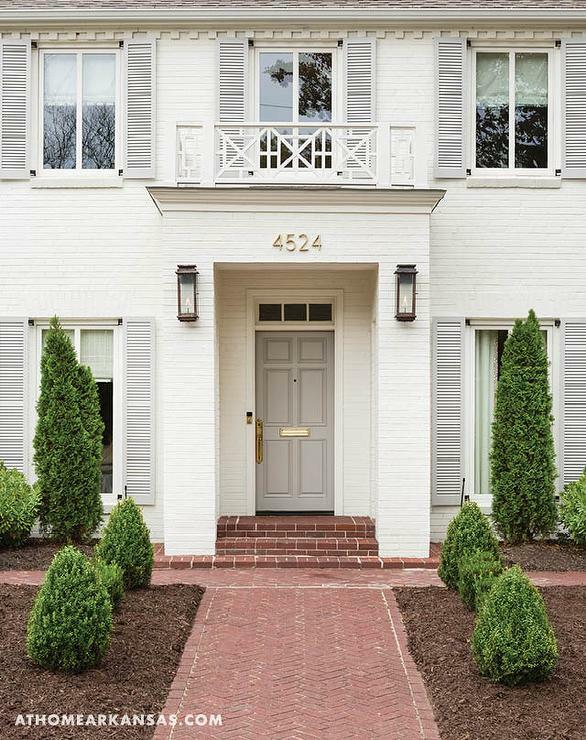 I’m excited to see the house painted white – will be so pretty I think! Come over!! !